The SA0039 PLUS-FIXED hoof trimming crush is a hydraulic, hot-dip galvanized, walk-through hoof trimming crush. After trimming, the cow or cattle leaves the crush through the front gate. 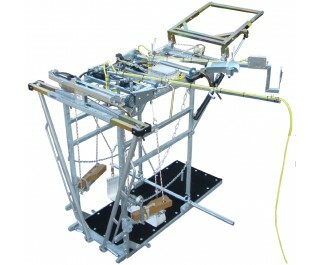 Further, the SA0039 PLUS-FIXED hoof trimming crush is equipped with a cable reel, tool holder, rubber floor and work lights. 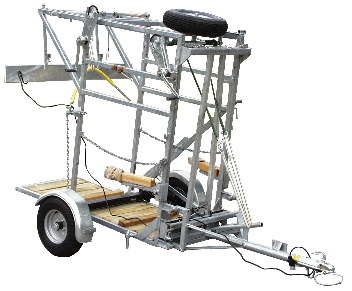 The SA0039 PLUS-FIXED has no wheels and needs to be placed at a fixed position in the barn. 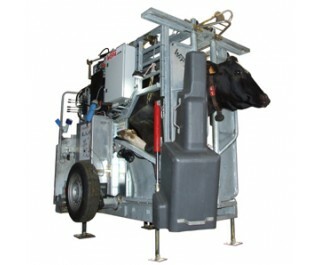 All in all, the SA0039 PLUS-FIXED hoof trimming crush has shown itself as a very reliable and flexible to use crush. 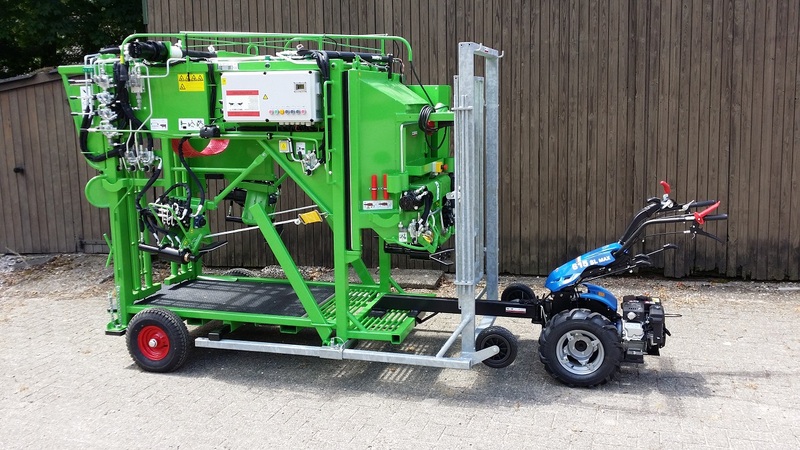 Also, available with an axle, which allows the hoof trimmer to pull the SA0039 with a car, when trimming a herd at different locations.